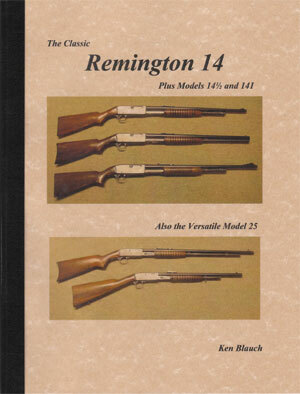 A new 72 page book on the Remington Models 14 & 141 is available now. Includes actual Model 14 production numbers by caliber and by rifle/carbine for the last half of the production period and estimated total numbers . Models 14½ and Model 25 information is also included, as well as many other little known facts. Only $1700, plus $500 Priority Mailing.